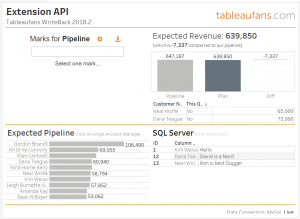 tableaufans.com » How to write back data to Microsoft SQL Server? Log in to the SQL Server you want to setup for write back with SSMS. 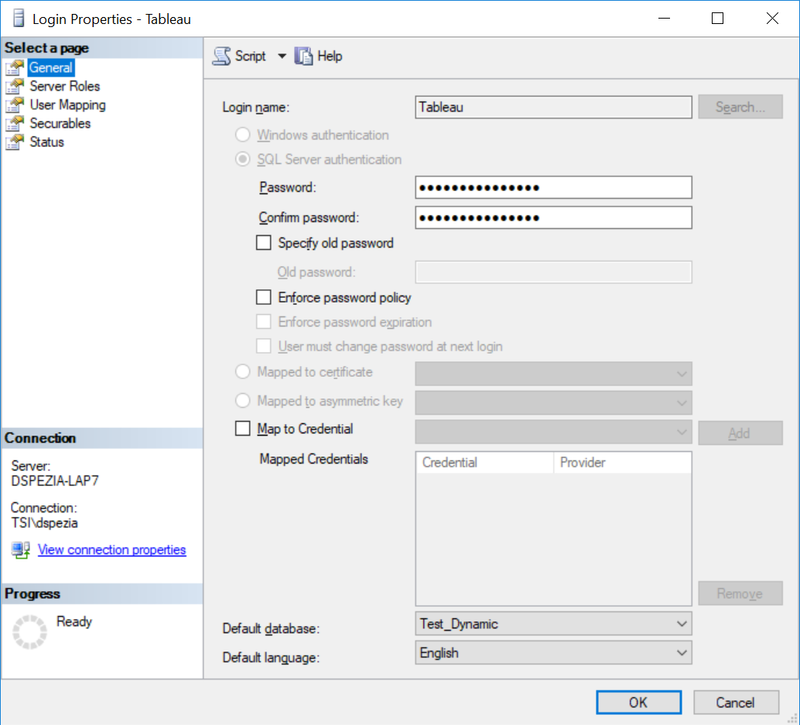 Create a new User called ‘Tableau’ with the Password ‘Tableau’. 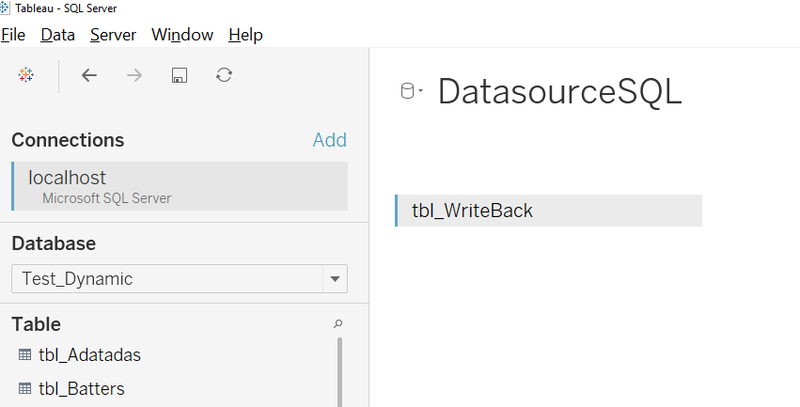 While still in SSMS, add a Table for writing back to called ‘tbl_WriteBack’ to a database of your choice. 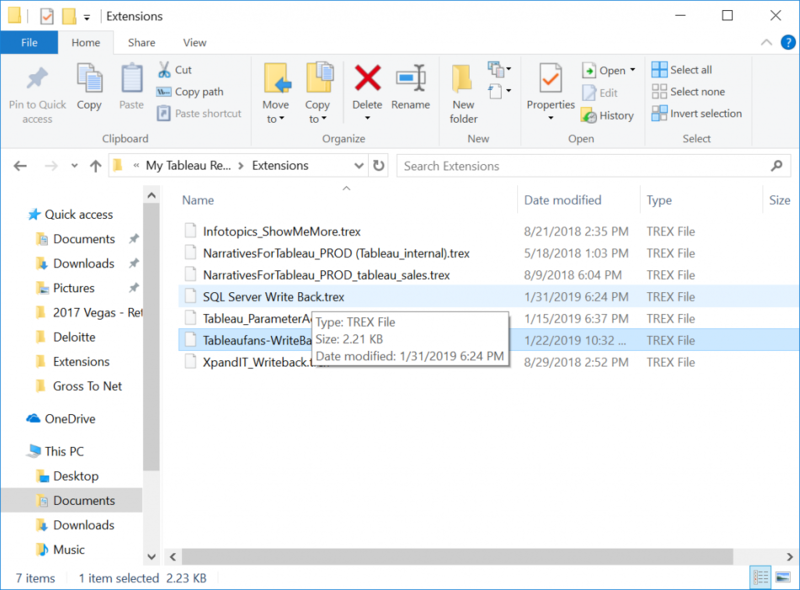 I used a database named ‘Test_Dynamic’ for my purposes. The table as am [ID] integer with an identity and serial increase and 2 nvarchar(50) for [ColumnName] and [TextValue]. 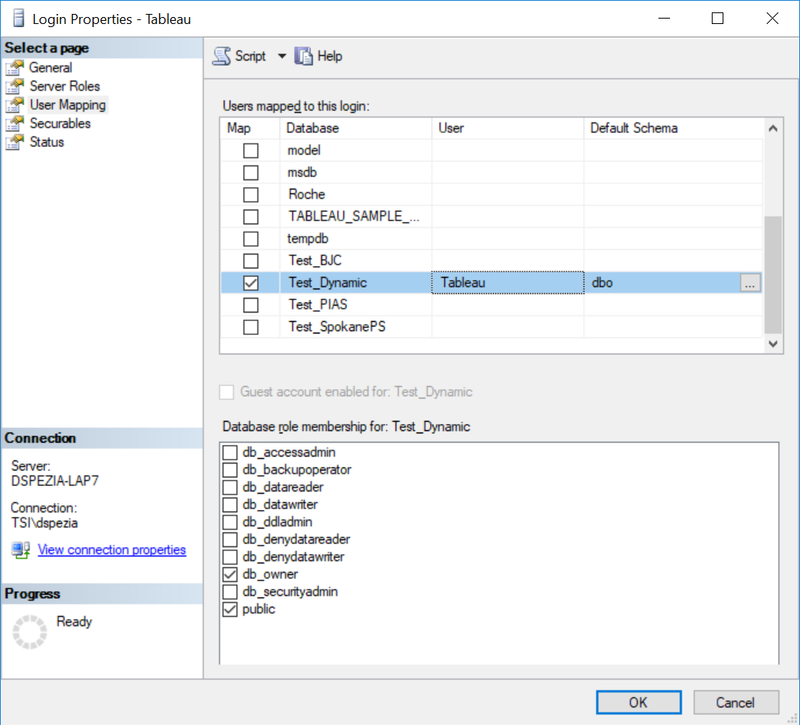 Use SSMS to update the permissions for the ‘Tableau’ user to be able to CRUD the new table created in Step 4. 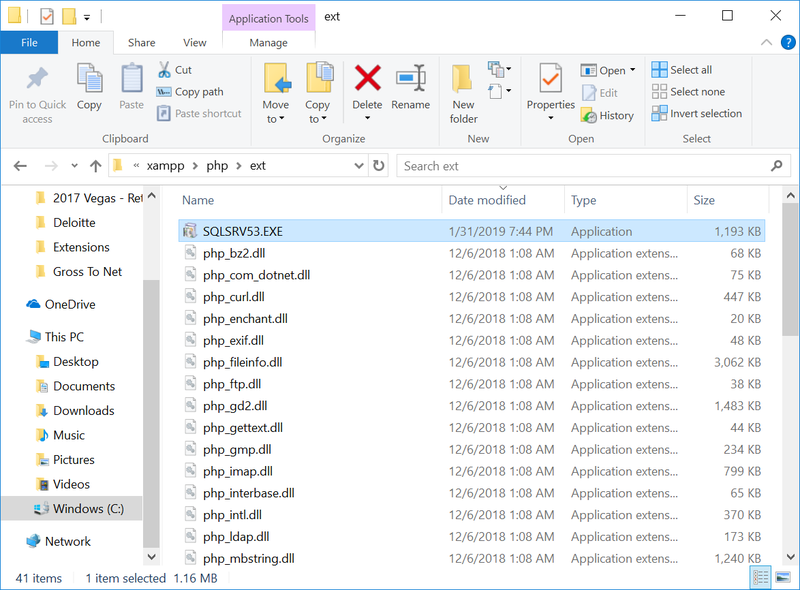 Get the latest SQL Server for PHP 7 drivers from https://docs.microsoft.com/en-us/sql/connect/php/step-1-configure-development-environment-for-php-development?view=sql-server-2017. 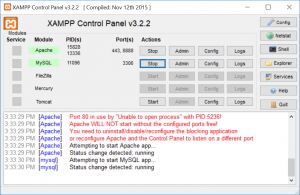 Unpack the SQL Server drivers to C:\xampp\php\ext by running the SQLSRV53.EXE. 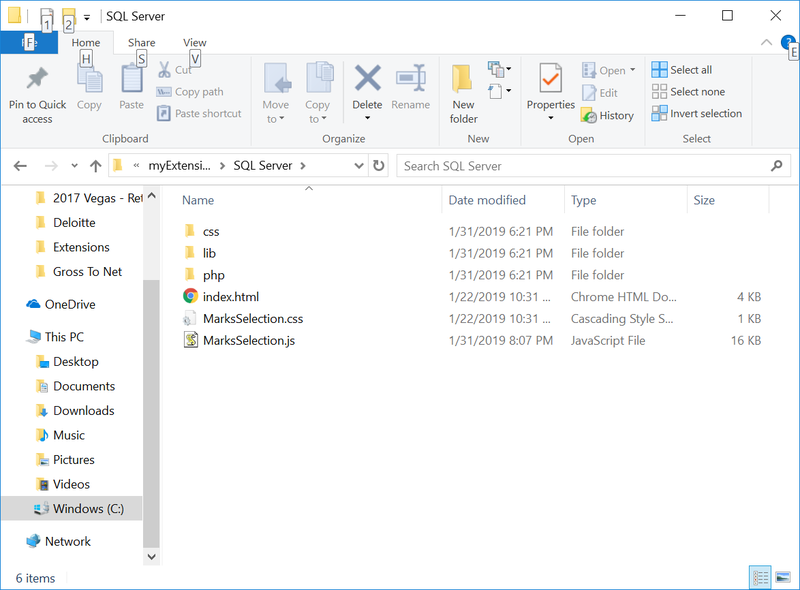 You only need the php_pdo_sqlsrv_7_ts_x86.dll and php_sqlsrv_7_ts_x86.dll so you can delete the other sqlsrv dlls that were installed. Update php.ini to point to the new DLLS for SQL Server. 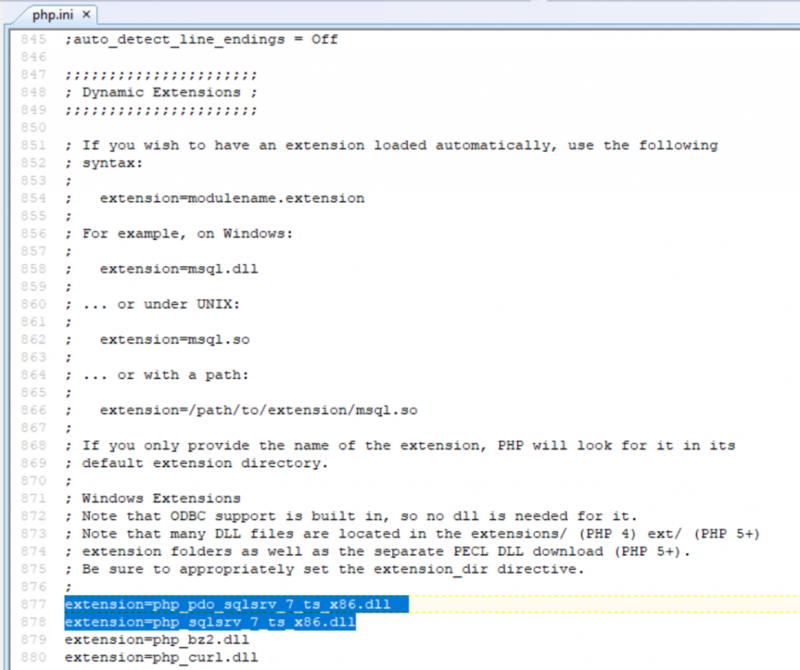 Update php.ini in C:\xampp\php to include the 2 new extensions. 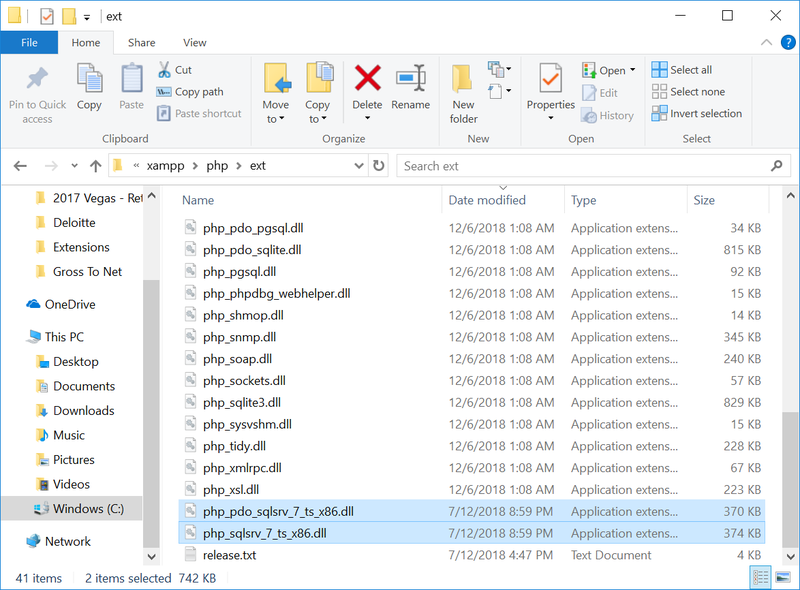 I added them at lines 877 and 878. 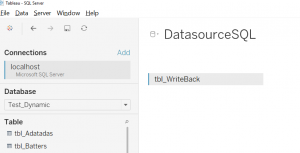 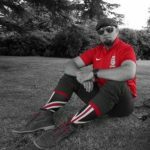 Duplicate the TWB for MySQL Write Back. 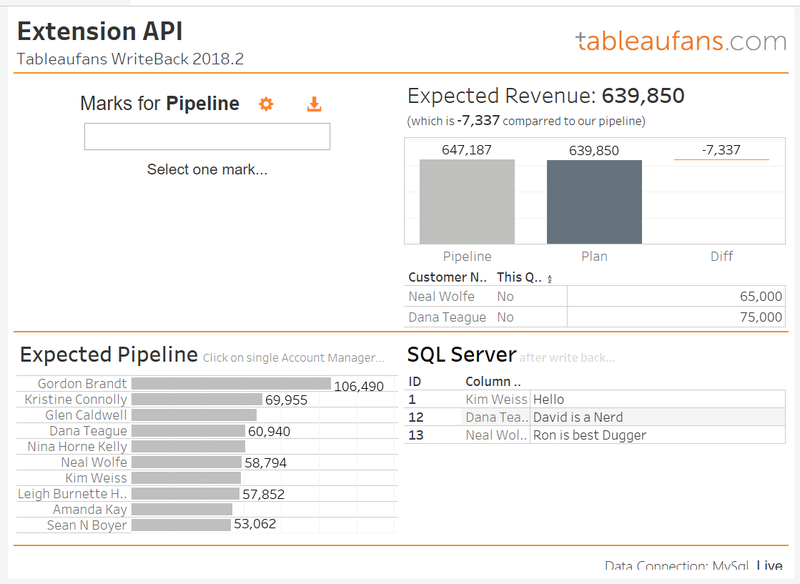 Add a Viz to Display Data from the new WriteBack Table. 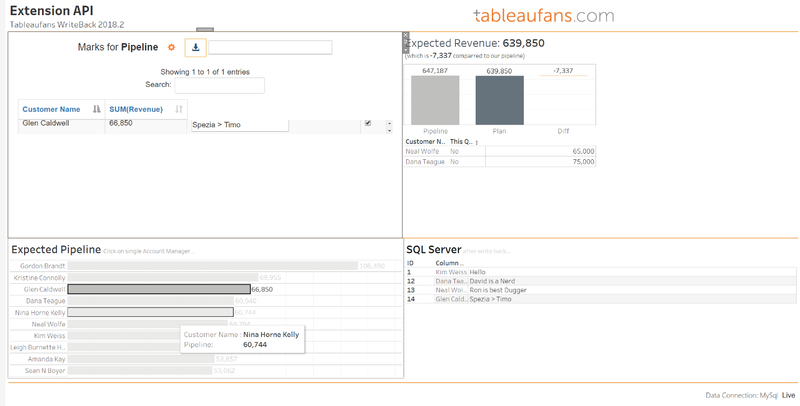 Replace the Pipeline after Planning Chart with the new Viz and replace the Old Ext with your new Ext. 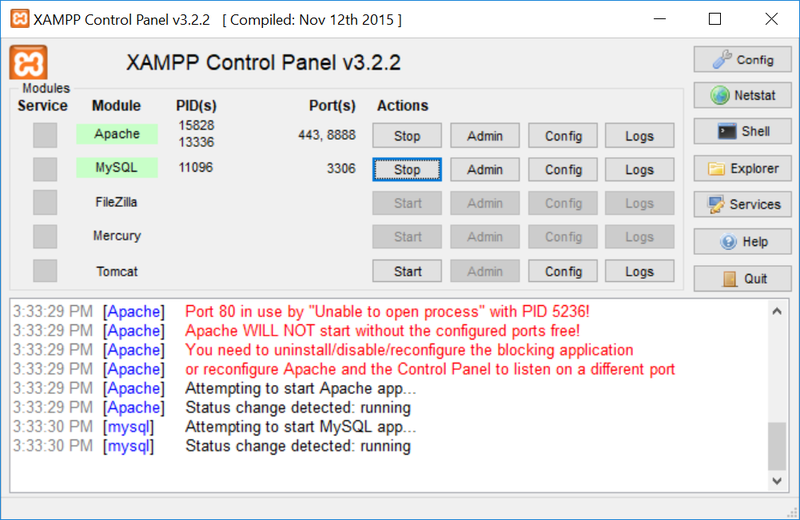 Start your MySQL and Apache Server in XAMPP and have fun!